We offer a complete range of Industrial weighing scales equipment. We can repair most makes & models of Weighing & Counting Machines. We offer a full range of Weighing equipment to suit your requirements. A Certificated Maintenance Service Schedule is available or a "one off visit". 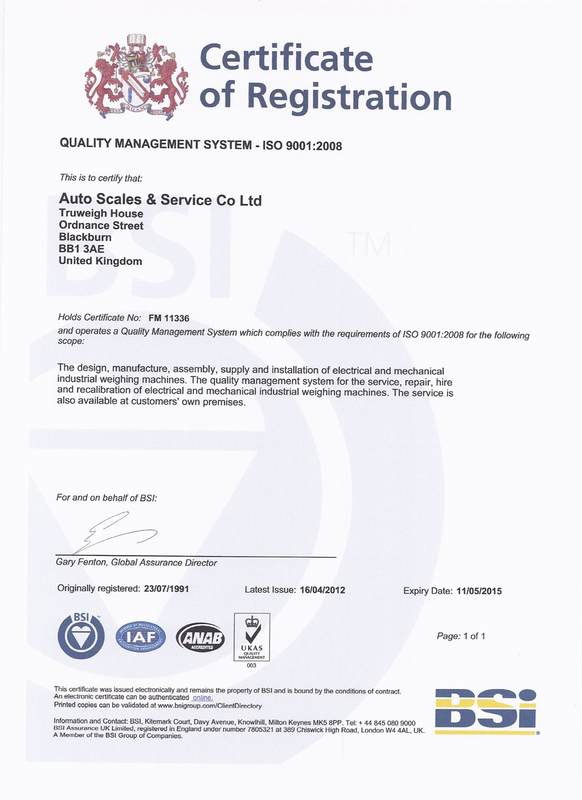 We provide Calibration traceable to National Standards.